In November 2011, clashes between protesters and security forces on this street downtown led to numerous deaths and injuries. 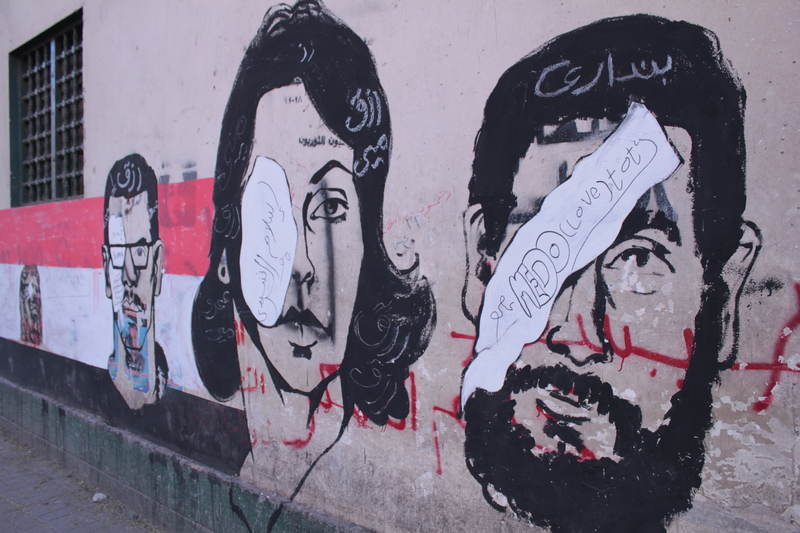 The street, once the debris was swept away, became a monument to the revolution, and a group of artists painted massive murals along the walls ranging from abstracted scenes of peasant life to the faces of the killed protesters. Then those murals were whitewashed. Then the artists returned and painted new murals. Then those murals were whitewashed. Then they returned. .Just go and check in on the current status of this amazing political art space.